Designed to empower and unfold your inner, innate wisdom, Natural Energy Wisdom™ is the result of my personal study of natural cycles and rhythms experienced through living for over 15 years in the mountains of Yamanashi, Japan. This self-growth process arises from the wisdom of your inner nature interconnecting and interacting with the greater world of Nature that supports you and sustains you. It also honors your natural creativity, your natural essence, as well as your natural intelligence. At the same time, Natural Energy Wisdom™ teaches you to become aware of the communication you continually have with your body, with your mind, with your spirit, with natural energy flows. Your natural sensations and feelings are important because they constantly call your attention to the situation or focus that aroused those feelings in the first place. Your good feelings, for example, indicate your continuing natural survival. You learn what is healthy and supportive for you. Natural sensations were not invented by human beings. Each natural sense you experience is actually Nature speaking to you and through you. As you recognize what is essential for your survival, you also learn what does not support you and sustain you. For example, becoming aware of your inner nature while consciously connecting with Nature gives you a very special feeling of self-acceptance and compassionate love. As your awareness deepens, in your personal relationships and situations you more and more begin to look for this love and acceptance you sense within Nature and within yourself. Little by little, you learn to transform or release relationships and situations that do not reflect this deeper self-esteem. So connecting with your inner nature and Nature means connecting with the deepest and wisest part of yourself. 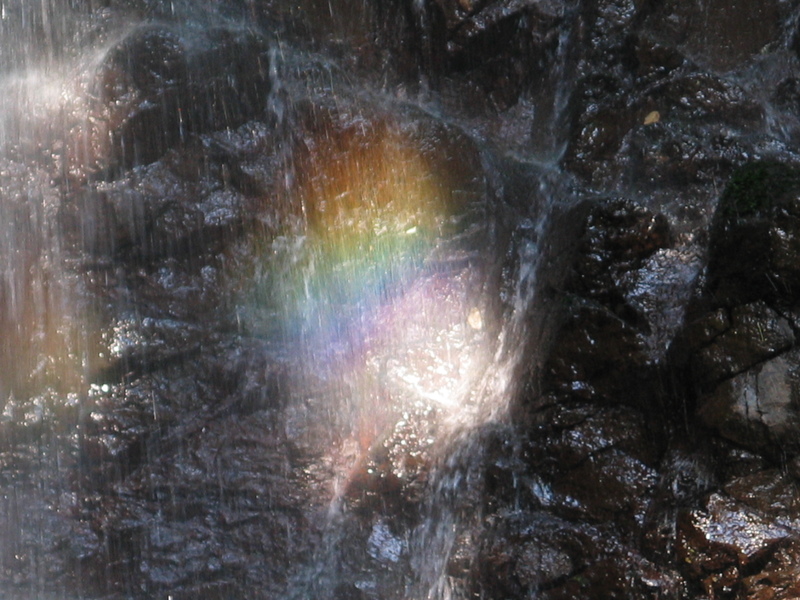 I see Natural Energy Wisdom™ as a natural bridge integrating body, mind and spirit. As such, it works both with the intrinsic intelligence of the DNA in the cells of your body, and also with the greater intelligence of the cosmos. Yet nature connection is not an intellectual exercise you simply read about in a book or listen to at some lecture. At its heart, Natural Energy Wisdom™ encourages you to be very real, very vital, very practical. Because you become physically and spiritually grounded, you empower the active now, the present reality of your actual life. One critical pillar of Natural Energy Wisdom™ is physically connecting again by going outside into the natural world. As you replenish your connections you rediscover your natural spiritual connection. Connecting with Nature is thus a profound way to unfold yourself spiritually. You find yourself expressing your natural spirituality in your daily life through increasingly healthy integration of the many aspects of your body, mind, spirit. Through Natural Energy Wisdom™ you rediscover for yourself that cosmic energy and your personal energy are one and the same. You stimulate the joy of engaging your nature within and without. And you affirm the certainty of empowering your natural energy flows. 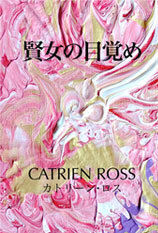 My self-growth process was introduced in my book, Hikari no Uzu, published in Japanese by Energy Doorways in 2009. Now, as I begin writing about Natural Energy Wisdom™ in English, I would love to hear your comments and insights. How do you feel right now about your own inner nature and the ebb and flow of your natural rhythms and cycles? I loved your article Catrien. It was strange because I was writing the following words and then I decided to read and touch upon your wisdom and noticed that what I wrote seemed to be related to what you wrote. So I feel compelled to include it as a comment within and into your online kingdom. People all around us are dreaming all of the time. They are projecting their vision and therefore their version of the world with every moment. Through the very selective knowledge and light filled with information that we accumlate through time, one creates a set of filters or parameters to experience life as we individually know it. These constructs of the mind are like tension points or fixations in a sea of vast openness. As we enter new environments with new energies, they enter our field of perception and are therefore skewed by our reference points and the things that we hold onto within our auric field. In a way, these set or concrete pillars then distort or skew or bend the energy or light into a form that is likened to our view of the world since one’s awareness is often linked to these formations. Some people call this an afilliation or allegance to the ego mind. However, if one puts their awareness not on the knowledge but upon the energy as it arrives in its purest form outside the parameters of the mind, one then is said to be in touch with the feelings they are recieving by interacting with the vibrations or the energy that are being received in the here and now. Now based on the feelings that one is experiencing, one can then use the information or knowledge in one’s mind to describe what they are feeling as it is happening. Since one’s attention is not on the knowledge and associations of the past or anxities of the future, then one does not have an automatic and unconscious vision or response. Instead, one’s attention is on the energy or quantum field arising in this moment. What one sees then isn’t contrived from unresolved issues, but is a new product of one’s own imagination and imaging. One then chooses to tell a story of the energies they are traveling through by referencing the existing information that is in one’s own personality matrix. Within the personality then there are those reference points that are free floating while others are still set in stone since they have not been addressed or dislodged within the mind. So its like saying, that which grabs our attention is where the energy is hitting something that is fixed… or where we need to bring light to the situation or where we require our awareness to become more conscious. Something that is liked now has the opportunity to be loved again, so that the distortion can be smoothed over and so that the tension can be released. None of this then is good or bad, but an invitation to integrate ourselves more fully into any given situation or environment where the energy then free flows around and through us. The synchronicity of ebb and flow is intriguing and deeply encouraging. Thank you so much for bringing your wisdom here again today. It is so freeing when we do this – we do indeed, as you say, open to the energy as it arrives. We can then sense our aliveness, and this informs and illuminates our present reality. I appreciate your wise and perceptive presence here so much. Thank you, Bern. Here in Japan spring is unfolding across the hills, and plum blossoms scent this wild mountain garden. Morning greetings to you from the foot of Mount Fuji – Catrien. Being truly open and receptive invites recognition of that which one would not otherwise notice. Spirit is the cause and source of all action. Whatever words are used do not adequately describe what is unfolding. The truth is felt. Thank you so much for your reminder about being open and receptive. Our sensory experience connects us with inner awareness. Evening greetings to you from the bright moon and the mountains – Catrien.